Alright, y'all! Let's take a mini trip to the Lonestar State of TEXAS! 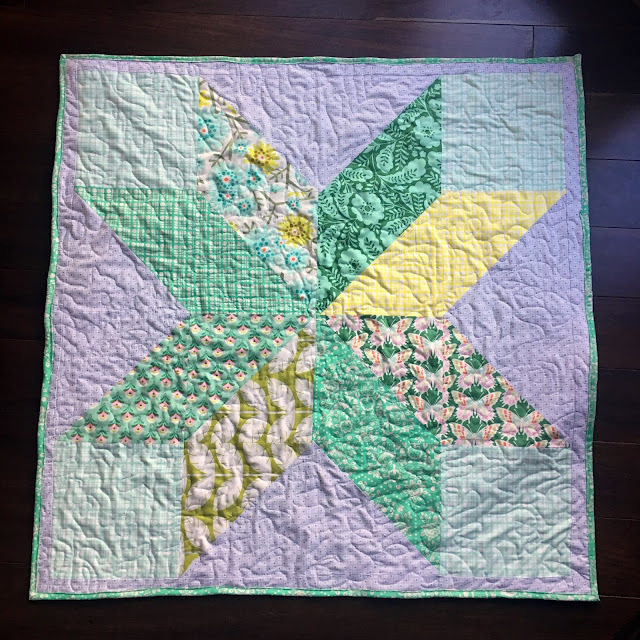 This baby quilt was the perfect gift to give my friend, M for her shower a couple weeks ago. While M is not from Texas, she lived there a good while, and I just thought it was perfect. Not to mention it's a quickie quilt! If I didn't have other items on my dance card, this baby quilt would have been finished in a couple hours. The baby quilt pattern uses a layer cake, or you can cut fat quarters. Layer cakes make this quilt SUPER quick! 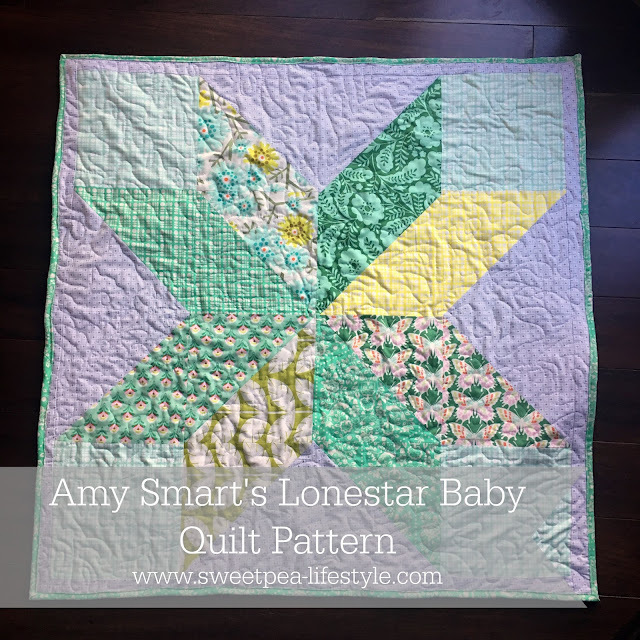 Head on over Amy's blog, Diary of a Quilter, and check out her great tutorials and pattern shop!